For me Wikitravel is always a good starting point. The way it is laid out is simplistic and easy for the reader to get to grips with the city. The Reykjavik Grapevine publish awards each year for food and drink categories which is a good starting point. Visit Reykjavik is a wealth of information. Not only for food and drink but for events, what to do, where to visit, where to stay etc. Just don’t trust the maps – a lot of the restaurants I looked at were all directed to the same place on the map. Nowhere near where they actually are! Use the address to google map. Finally it goes without saying, Tripadvisor will give you rankings and reviews. Personally, I find it hard to start with Tripadvisor and tend to use this as a final say based on reviews. Icelandic food is either very heavily meat based or fish. There are some wonderful vegetarian restaurants or at least vegetarian friendly restaurants in Reykjavik which I would have loved to have tried but we simply ran out of time. Whilst I am vegetarian I will eat fish so finding suitable restaurants wasn’t too hard. I cannot recommend this place enough!! Possibly the best hostel I have ever visited, and I’ve been to quite a lot round the world! Kex Hostel opened in November 2011. Housed in an old biscuit factory. I looked at us staying there when I was pricing up the trip independently but we went with the package hotel instead. Turned out our hotel was only a few doors down and I had read great reviews about the bar / restaurant there so decided to give it a go. Sæmundur is the gastro pub as you walk into the hostel. A gastro pub that certainly wouldn’t look out of place amongst the hipster scene in East London. Something to note is it is on the second floor – there’s a wooden door entrance with KEX written above it. The first time we looked for it we were looking for something on the ground level. Silly us. Low lighting, industrial / vintage furnishings, mix matched salvaged furniture, a wonderous barber shop, great choice of ales on tap and a great menu, we ended up eating here twice it was so good. So not to get food envy we both went for the Baked Cod on our first visit and shared some cumin chips – delicious! It was just the right amount of food to not feel overly full (we were about to go on the three hour boat trip!) and decently priced. Two meals, chips to share and two ‘large’ ales came to about £35. The weather was so bad on our last night we didn’t want to venture too far so ended up back at Kex. I didn’t think they could top our first visit, but oh my! We picked two mains this time deciding to share and go half and half. Salted Cod – it’s an alternative take on a fish burger but I would probably put it in the salad section – a bed of rocket on top of a bread base and pieces of salted cod over the top. Our second dish was blackened salmon. The fish was so fresh in both dishes I’m sure the fish just jumped out of the sea and straight into the kitchen!!! If anyone from this establishment reads this, please please please can you send me the recipe for the blackened salmon – possibly one of the best dishes I have ever tasted. Thank you! We stumbled across Icelandic Fish & Chips when we were trying to stay upright walking to the Northern Lights Centre in the strong wind. What a little gem of a place! It’s opposite the Old Harbour area, where there is of course plenty of fish restaurants to choose from also. Fish & Chips is quite an English traditional food so knowing how good the fish is in Iceland it only seemed right to try it and see if it compares. The restaurant is part self service – basically you order and pay at the bar. The menu is in the main split into three sections. You choose your fish from a selection of the fresh fish of the day, then the types of ‘chips’ you would like – these were more like just potatoes than your standard chips, and then a ‘Skyronnaise dip’ – the sauce for accompaniment. 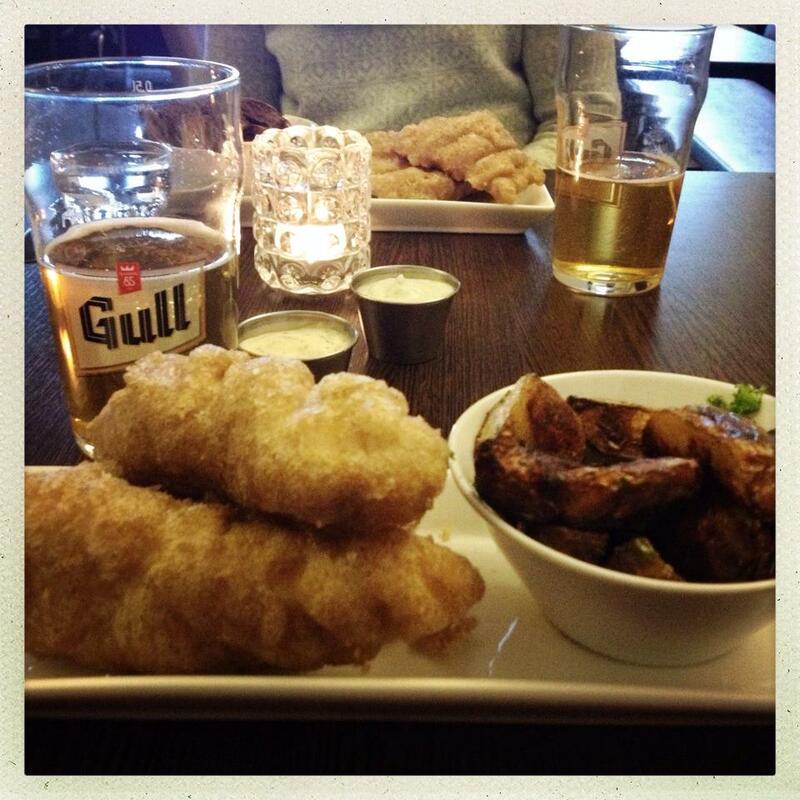 We went for cod, pollock, crispy potatoes, garlic potatoes, traditional tartar and a honey and mustard skyronnaise dip, oh and two local Gull lagers. The food was delicious, not over battered and in small pieces. The waiter was friendly, views over the harbour and mountains and some ‘light jazz’ playing. All rather pleasant and a nice little lunch stop and all for about £30 in total. Vegamot is a wonderfully popular restaurant spread over two floors. It’s situated just off of Laugavegur, the main shopping street. There was one small table available for us but I feared the both of us wouldn’t fit on the small bench let alone have enough elbow room to eat. The waitresses were ever so accommodating, we ordered a drink at the bar and were seated within 10 minutes. Vegamot has a great varied menu with lots of different cuisines – Italian, Mexican, Thai, Tapas and caters well for vegetarians. We both opted for slightly less traditional Icelandic food and ordered Udon Noodles with prawns, and I had the vegetarian burrito. Again, the lighting was low and seemed hugely popular with larger groups of friends but it didn’t seem over crowded and had a nice atmosphere. The bill came in at about £35 again. This seems to be standard for two main meals with accompanying beers. Unfortunately as we only had three full days and two of them were taken with day trips we couldn’t fit in as many of the wonderful eateries I had read about. These restaurants were also on the list, maybe next time! Laundromat Cafe, Austurstræti 9. I have heard they do great hangover brunches here! Prikid, Bankastræti 12. 50s style diner by day, nightclub on weekends. Sounds awesome! Reykjavik in the summer months is very much a party town with the sun hardly setting. As prices for drinks are somewhat on the expensive side, most people will drink at home before heading out about 10/11pm. We took note and I took a bottle of Jack Daniels Honey with us and we picked up a bottle of Prosecco each to celebrate the BFF’s birthday (in paper cups in the hotel room, classy). We saw countless bars in and around Laugavegur and alot of them advertising ‘Happy Hour’, which normally lasts for two ‘Happy Hours’. Our hotel bar had a great deal on Happy Hour – two pints cost us no more that £5! I think we have quashed the ‘£10 a pint’ rumour. 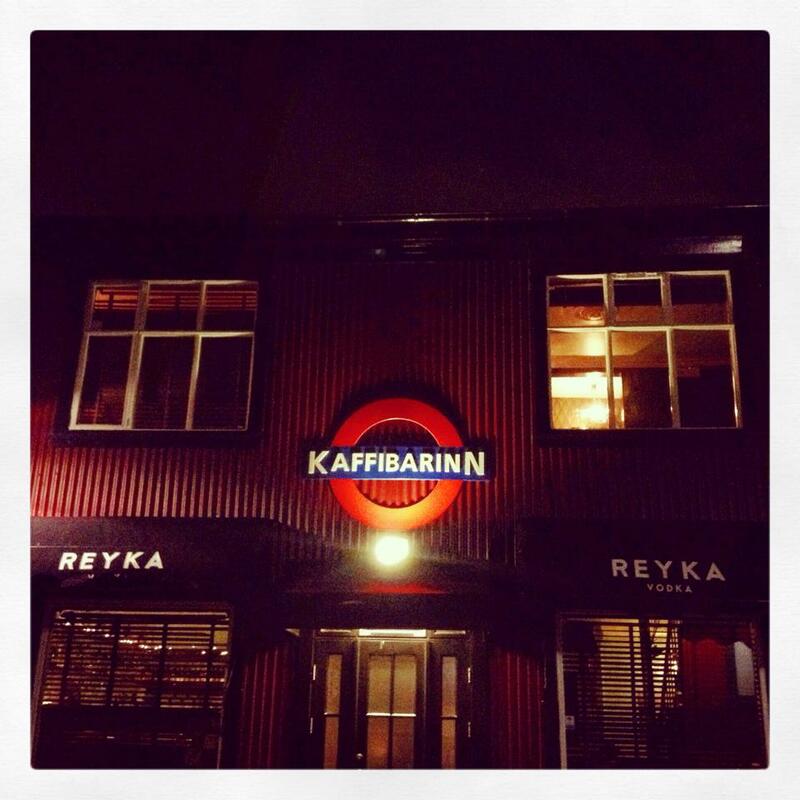 This was always going to be our first point of call of a drinking establishment – Kaffibarinn use to be part-owned by Damon Albarn in the 90s *can’t shake off the 90s britpop love*. It’s located just a street away from Vegamot, again just off of the main shopping street, Laugavegur. It was a Sunday night so not too busy, seemed unpretenious, nice vibe and the DJ in the corner (who looked like he could have been related to Albarn) playing alternative quirky laid back versions of tunes you will most definitely recognise by the time the chorus comes in. Loved the bluesy version of ‘Islands in the Stream’. We only stopped for one pint of local brew Emstock Pale Ale. We had literally just missed happy hour where we could have bought two for the price of one. Ah well. Set us back 1,200 ISK each which is about £6.50 a pint. There were other cheaper drinks available but we were only stopping for one. 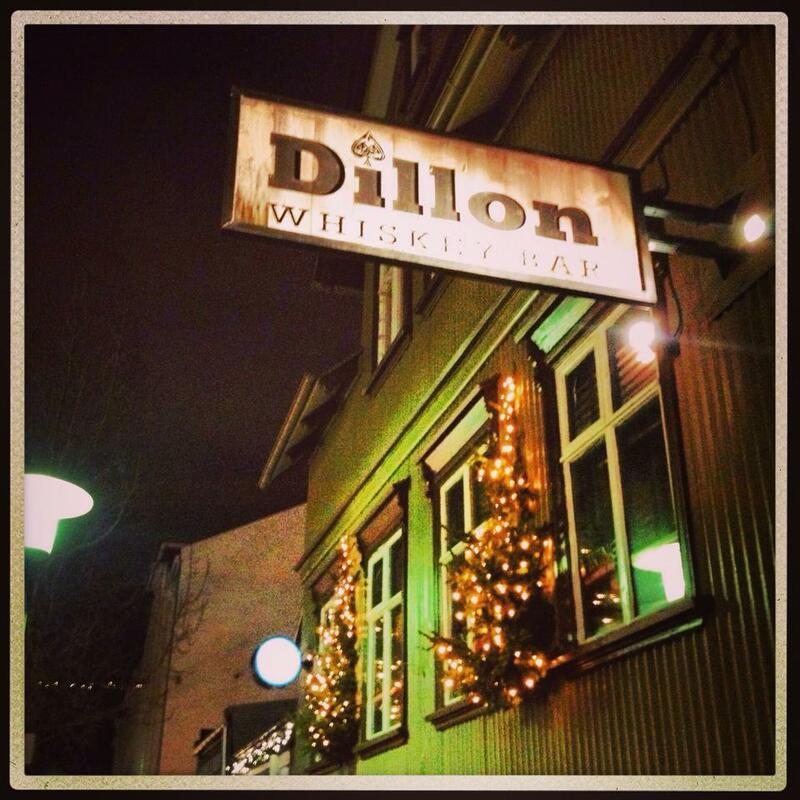 Located on the main shopping street, this is a great rock bar with the largest selection of whiskey I have seen! As much as I love whiskey we didn’t sample any this time but stuck to a local lager for 800ISK (approx £4.50). There’s a relaxed atmosphere, bar staff are friendly, good choice of music but not entirely ‘rock’ in my opinion. Slightly disappointed when they finally played Led Zeppelin for it was changed half way through…… Still, a nice joint to hang out in and would still visit again as and when I return to Reykjavik. See above in the eating bit. If you don’t want to eat here, this is still a good place to stop by for a beer. They come in varying sizes, prices, types – some lovely craft beers to taste! Go on you know you want too……..